Communities of Interest (COI's) are the primary forums for collaboration and are typically organized around a common practice area or current issue in academic libraries. COI's can be formed by any interested party within OPAL. While some COI's are common interest networking groups, others are more actively involved in projects. COIs can come and go as needs arise. For example, the Website Revision COI has created a new OPAL website and logo. A community of interest can be initiated and led by anyone in OPAL. If you decide to initiate a new COI, inform the current OPAL Executive Committee Liaison and post the interest on OShare. Serve as a forum for discussion of ideas, best practices, policies, etc. The COI Liaison to the Executive Committee serves as a communication tool between the COIs and Executive Committee. This position is elected biannually on even numbered years but can serve consecutive years. The current Liaison is Jessica Crossfield McIntosh (jcrossfieldmintosh@otterbein.edu). The COI Liaison reports to the Executive Committee on issues, goals, and practices addressed by the COIs. Below is a OPAL Meeting Template and will make reporting and reading the activities of the various groups easier for all. Meeting minutes should be drafted as an accessible document and sent to the Liason for posting on the OPAL website. Meet at least once a year (face to face or virtually). If COI doesn’t meet at least once a year than it will be removed from the official COI list. How does one initiate a COI? Any OPAL member can begin a COI via OSHARE. Simply send an inquiry of interest to the rest of OPAL. If there are others interested, let the community liaison know, and the group has started. Decide amongst yourselves if you want to meet face-to-face (at OhioNET, regionally, etc), meet virtually, have a conference call, or just ‘talk’ through the listserv- whatever works. Monitor OShare to keep an eye out for COI meetups or propose your own. You can become a mentor or mentee, join the OPAL conference planning committee, or one of the working groups. Learn more about mentoring, onboarding, and membership on the OPAL website.  OpalHelp@ohionet.org is the designated email for OPAL assistance. You may also reach out to the COI liaison. Where can I find documents on the OPAL Website? Documents for each COI are located in the member guide area of the website under COI documents. Who do I submit COI minutes to? Minutes are submitted to the COI liaison. You can find a list of the executive committee members on the OPAL website. Who will vote when the group discusses a recommendation? There is really no need to vote as the COI. Whoever is present (face-to-face or virtually) can decide if this recommendation should be passed to the Executive Committee/Directors’ Council. Can an COI create a new listserve? If a group is currently using a listserv (i.e. opalcat, opalcirc) that listserv may continue to be used. No new listservs are planned to be added at this point. For simplicity OSHARE will be used for any new groups. In how many COIs may one participate? That decision must be made locally between the individual and the library director. As participation can take on a variety of levels from merely watching the list to participating in online discussions to collaborating in face-to-face meetings to initiating and leading a COI, there is room to participate in a variety of COIs according to job duties, interests, time available, etc. How will information be shared from the COIs to the larger OPAL body? Each COI will at least one time per year share a report through OShare. This will be the responsibility of the chair or initiator and can be sent to the COI Liaison. Will the Directors’ Council/Executive Committee have a way to assign tasks? Yes, Task Forces will still be in place to be utilized by Directors’ Council/Executive Committee for specific tasks.